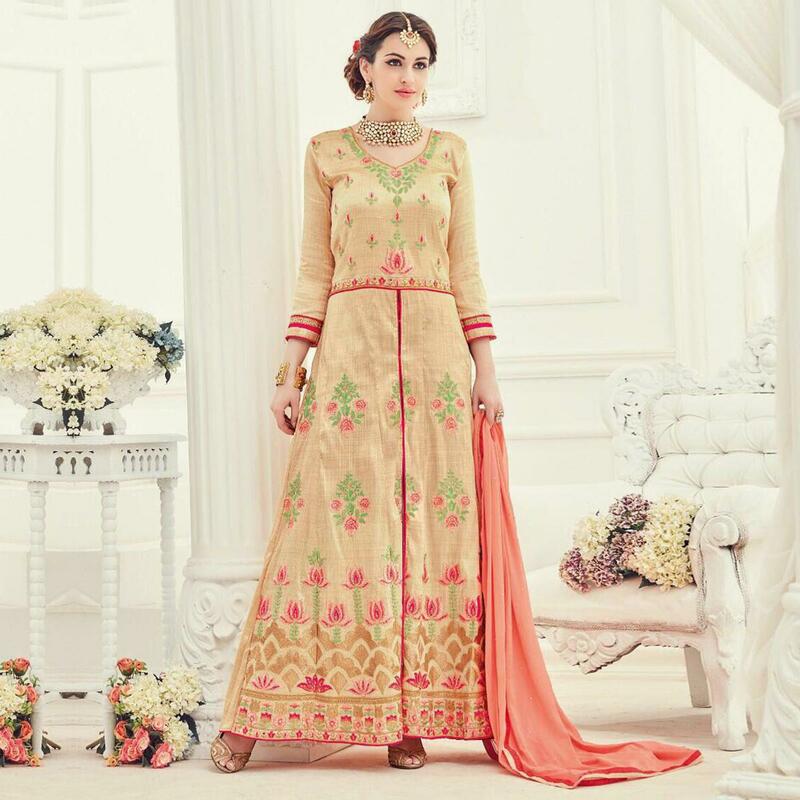 Make your presence more beautiful and adorable wearing this latest fashioned long length anarkali suit in peach color. 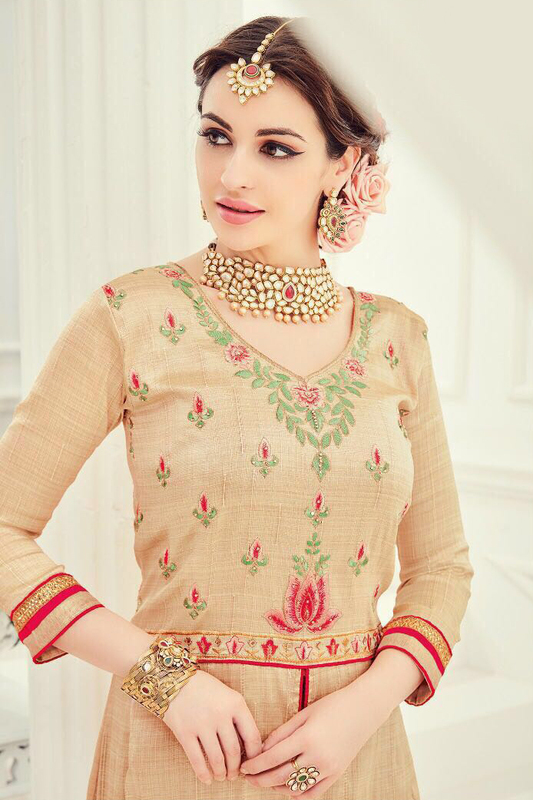 This semi stitched suit is designed using pure silk fabric and decorated with floral design embroidery work. 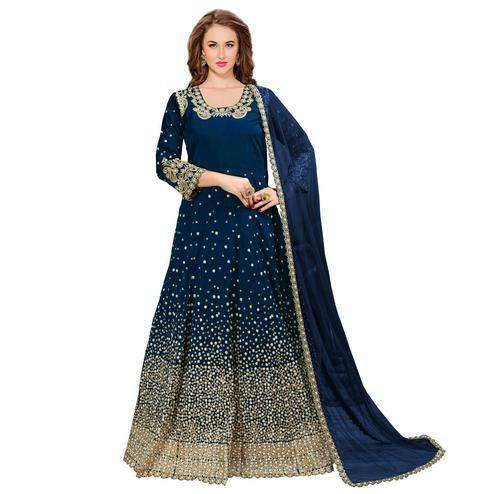 This dress also includes matching color santoon bottom and chiffon dupatta. Best suited for family get together parties and functions. Team it with classy accessories to look more outstanding.